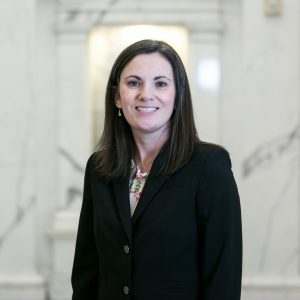 Whitney Aldrich has more than 14 years of experience in tax compliance and advisory services and recently joined Saville. She has experience in a variety of areas including real estate, closely held businesses, professional services, and high net-worth individuals. Her primary focus has been federal and state tax compliance. She also has experience in tax planning, IRS audits and financial statement clean up. Her primary goal is building relationships with clients and providing excellent customer service. Whitney lives in Lake Highlands with her husband, three daughters and one dog. She is involved in her church and has volunteered in many areas of ministry over the years. When Whitney isn’t working she enjoys spending time with the family and friends, reading, baking and napping whenever possible.